... 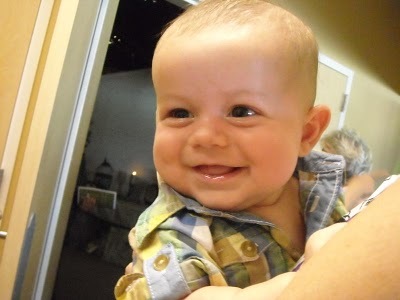 I got to hold my great nephew Sawyer for about 2 hours. ...but I had the most fun. I think Sawyer is almost as precious as my own babies were. I need me another Sawyer fix! 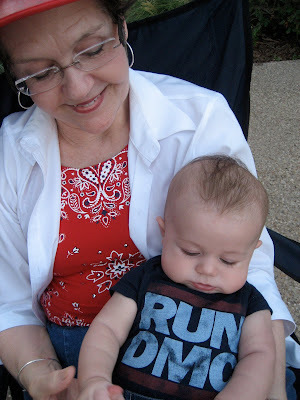 Sweet Run DMC shirt, Sawyer!